Are you a creatively challenged papercrafter, short on time, looking for monthly inspiration and project ideas? Then the virtual stamp of the month club may be just what you are looking for. Not only will you receive a new stamp set each month, but you'll also get 3 FINISHED card samples using the featured set each month. You will definitely be inspired by these beautiful finished cards! This months stamp set is Perfect Blend and includes a package of bakers twine and 3 cute cards, one of them featuring a crisscross fold. Included in your package each month will be color instructions with a supply list and cutting measurements - this will allow you to easily recreate the cards! Plus you have the completed card to look at and reference when you go to make your own. Featured stamp set: new clear mount stamp set valued between $18.95 and $22.95. Already own the set - no worries the stamp set may be substituted providing you let me know by the deadline. 3 handmade cards: these will be FINISHED cards using the featured set, one of which will include a fancy fold or technique. If the fold or technique requires it, you will also get a link to a video showcasing tips or tricks on creating the project. You can receive all this for only $40/month (this includes shipping). Remember that there is no commitment - so if you don't love the set that I've chosen or just need to take a break you can! However, when you participate in the club for 3 consecutive months you'll get $5 off the 4th month. If you participate for 10 consecutive months, you will receive $35 in free merchandise during your 10th month! Anyone can join anytime... no matter where you live in Canada. Members will be notified by email on the 8th of the month and will have until the 15th to opt in. Packages will ship around the 25th of the month. 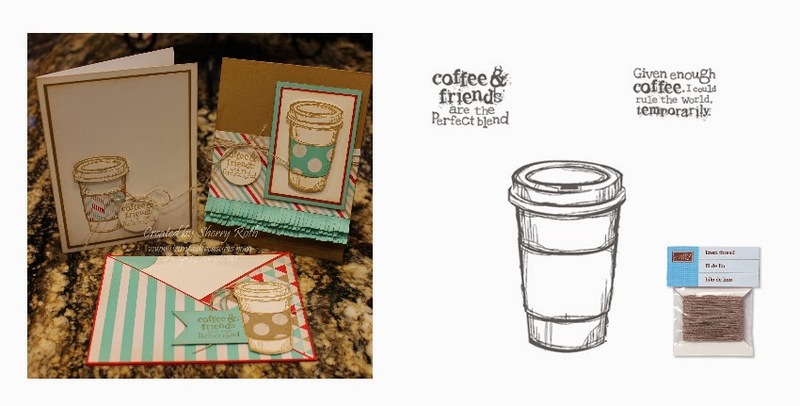 Request your Stamp of the Month Kit today!